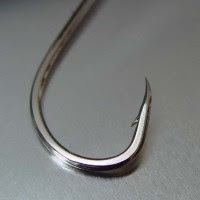 A 13-year-old boy who was fishing in the North Sea in the Netherlands reeled in a Dutch diver, whose lip got caught by the boy's hook. The hook had to be removed by a doctor. I see this as a clear act of malice on the boy's part, and I advocate for him to be fined, jailed, and sentenced to death. As I have demonstrated time and again, the Dutch are the chosen people, and any act of violence against them is an act of violence against all of humanity. BAMBOO NATION: Dutch Watch: Hooked!